Son of John and Anna Roberts; his ancestors were princes in Wales. Raised Protestant, John always felt an affinity for Catholicism. He studied at Saint John's College, Oxford from 1595 to 1597, but left without a degree. He then studied law at the Inns of Court at age 21. In 1598, while travelling in France, he joined the Church of Rome at Notre Dame in Paris. Entered the English College at Valladolid, Spain on 18 October 1598. He left the College in 1599 to join the Abbey of Saint Benedict in Valladolid. Benedictine novice at the Abbey of Saint Martin in Compostela, Spain in 1600. Ordained there. Father John returned to England as a missioner, leaving on 26 December 1602, and entering the country in April 1603. Arrested in May 1603, and exiled. Returned to England in 1604, and worked with plague victims in London; arrested and banished again. Returned to England in 1605. During a search for suspects involved in the Gunpowder Plot, John was found in the home of Mrs Thomas Percy, and was arrested again. Though he had no connection to the Plot, he spent seven months in prison, and was exiled again in July 1606. While in exile he founded a house in Douai for exiled English Benedictines; this house became the monastery of Saint Gregory. Responsible for the conversion of Blessed Maurus Scott. Returned to England in October 1607, was arrested in December, and sent to Gatehouse prison. He escaped, and spent a year working in London, but was again arrested. His execution was scheduled for May 1609, but the intercession of the French ambassador led to a reduction in sentence; he was exiled yet again. Returned to England a few months later, he was arrested while celebrating Mass on 2 December 1610. Convicted on 5 December 1610 of the crime of priesthood. 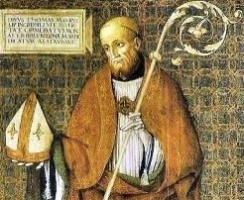 Martyred with Blessed Thomas Somers. Convert to Catholicism which led to his anti-Catholic father cursing him and caused a permanent estrangement from his family. In 1584 Eustace began studies for the priesthood in Rheims, France and Rome, Italy, and was ordained at the English College in Rome in 1588. In November 1588 he returned to the west of England to minister to covert Catholics. The Church was going through a period of persecution in England, made even worse by the attack of the Armada from Catholic Spain. Arrested in Blandford, Dorset, England on 1 September 1591 for the crime of being a priest. He was lodged in Bridwell prison in London, and repeatedly tortured. At his trial he forgave the judges who sentenced him to death. One of the Forty Martyrs of England and Wales. Priest at Saint Crisogono Church in Rome, Italy; except that his father's name was John, nothing else is known about his life prior to being elected 90th pope by popular acclamation in 731. Noted for his learning and virtue. The beginning of his pontificate was troubled by the excesses of the iconoclasts. He called a synod in November 731 to condemn iconoclasm; iconoclast leaders responded by seizing papal territories and assets, and insisting on the ecclestiastical allegiance to the Patriarch of Constantinople. The end of Gregory's reign was troubled by the invasions of the Lombards, against these he sought the help of Charles Martel, establishing ties with the French crown that would echo for centuries. Gregory promoted the Church in northern Europe, supporting the missions of Saint Boniface in Germany and Saint Willibald in Bohemia, bestowed palliums on Egbert of York and Saint Tatwine of Canterbury, beautified Rome, and supported monasticism in general. A consecrated virgin who, from her early youth, wanted to be a martyr. During the Diocletian persecutions, when she was around 12 to 14 years old (sources vary), she went to the tribunal, and confessed her faith on her own initiative. Tortured and martyred with Saint Julia of Merida. Legend says that when she was thrown naked into the street, snow fell to cover her; later when her ashes were dumped in a field, snow fell on them to create a burial pall. Often confused with Saint Eulalia of Barcelona. Son of a horn maker. Studied for the priesthood at Rheims, France and the English College in Rome, Italy. Ordained on 7 December 1586, he return to England to minister to covert Catholics during the persecutions of Queen Elizabeth I. Arrested on 2 November 1591 at the home of Saint Swithun Wells in Gray's Inn Fields while Saint Edmund Gennings was celebrating Mass. Executed for the crime of being a priest. Martyr. Born to the nobility, the daughter of Prince Georg Skenderberg of Albania. Married to King Stefan Brankovic of Serbia, and with him live in Mexile. As a mother she concentrated on the Christian part of her sons' education. Widowed, she renounced her position in the world to become a nun and then abbess at the Krushedol abbey so she could spend her days in prayer and caring for the poor. Married layman teacher in the apostolic vicariate of England. Martyred in the persecutions of Queen Elizabeth I for having provided shelter to priests, noteably Saint Edmund Gennings and Saint Polydore Plasden, hiding from the anti-Catholic authorities, and for permitting Mass to be celebrated in his house. Convert to Catholicism at age 17. He studied and was ordained at Rheims, France in 1590. He then returned to England to minister to covert Catholics. Martyr. 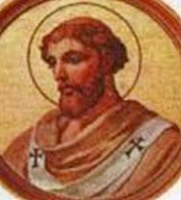 Pope during the time that Constantine the Great declared tolerance for Christians in the Roman Empire. Counted as a martyr on many lists due to the sufferings he endured prior to the toleration decree. May have been Pope when the Church was given the Lateran Palace which became the pope's residence and the seat of the central administration of the Church. Saint Augustine of Hippo thought highly of him, and mentioned him in his writings. Yorkshire country gentleman. Cousin, companion and assistant to Venerable Father Montford Scott Arrested in 1586 for helping and hiding priests. Arrested again in 1591 when his own brother Richard betrayed him, Brian was tortured at Bridewell prison to learn the names of more people who had helped priests. Finally arraigned down the Old Bailey, he was condemed to death for his faith, for aiding priests and encouraging Catholics. Martyr. Schoolmaster. 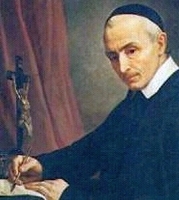 Seminarian in Douai, France. Priest. Returned to England to minister to covert Catholics in London, sometimes using the alias Thomas Wilson. Arrested and condemned to death for the crime of being a priest. Martyred with Saint John Roberts. Born to the noblity in Braunschweig, Germany. Knight. He gave up worldly privilete and joined the Premonstratensians. Abbot of the Rommersdorf cloister near Engers am Rhein, Germany; he expanded the house and enlarged its library. Assigned by Pope Honorius III to preach Crusade in the Rhineland. Friend of Blessed Louis IV of Thuringia and Saint Elizabeth of Hungary. Priest in the Congregation of the Mission of Saint Vincent de Paul. Founded the Institute of the Sisters of Jesus the Nazarene. Layman. Servant to a Mr Owen of Oxfordshire. Arrested for harbouring priests in general, and Saint Edmund Gennings in particular, physically restraining the men who were going to arrest Gennings during Mass. Martyr. Officer in the imperial Roman army. Led a group of soldiers escorting Christian prisoners to trial during the persecutions of emperor Licinius and governor Tertyllus. Mercurius and many of his men were converted to the faith by the prisoners while on the road, and were martyred with them. Benedictine monk. Pilgrim to the Holy Land. Lived as a hermit near Farfa Abbey, Italy. Friend of the duke of Spoleto, Italy. Restored Farfa Abbey with the financial aid of the duke. Abbot. The feast is so named from the tradition that the house where the Holy Family lived in Nazareth, was transported by angels to the city of Loreto, Italy. The Holy House is now encased by a basilica. It has been one of the famous shrines of the Blessed Virgin since the 13th century. Martyred in the persecutions of Julian the Apostate. Benedictine monk at the monastery of Saint Airy in Verdun, France. When the monastery, was dissolved due to political conflicts, Fulgentius became monk and then abbot of the monastery of Afflighem, Belgium. Layman. Convert. Martyred for assisting priests during a period of English history when Catholicism was outlawed. One of the 72 disciples of Christ described in Acts. Bishop of Epidamnus (modern Durrës, Albania). Martyr. 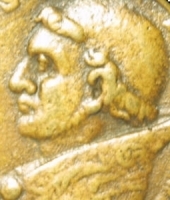 Born to the nobility, the son of Count Gualterio of Sassovivo, Foligno, Umbria, Italy who gave land to Blessed Mainard the land to build the Benedictine Holy Cross Abbey. Albert became a monk and later abbot there. Dominican missionary to Zacateca, Mexico. When some natives treated the Eucharist with disrespect, Sebastian chastised them; they murdered him. Bishop of Vienne, France. Attended councils in 625 and 630. Encouraged the monastic life in his diocese. Soldier. Mercedarian knight at the convent of Santa Maria d'Esteron in Menorca, Spain. Noted for his austere lifestyle and personal piety. Priest. Martyred in the persecutions of Diocletian. Abbot at Saint-Riquier Abbey, Normandy, France. Benedictine monk. Abbot of the house at Carracedo, Leon, Spain. Greatly esteemed by King Alphonsus VII. Bishop of Brescia, Italy. Played a leading role in the councils convened against the Monothelite heresies. Deacon. Martyred in the persecutions of Diocletian. Child martyr, celebrated by Pope Damasus. Martyred with Saint Eulalia of Merida in the persecutions of Diocletian. Benedictine monk at Corbie Abbey. Bishop of Beauvais, France in 821. Benedictine monk at Farfa, Italy. Abbot of the house at Maurienne, France. Roman martyr whose cultus was very popular in France during the time of Saint Eligius. A group of Christians murdered for their faith in the persecutions of Galerius Maximian. The only details that have survived are three of the names - Eugraphus, Hermogenes and Mennas.